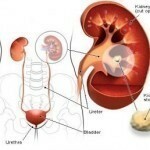 The kidney stones are comprised of acid and mineral salts. There are many causes but one of the most common is urine concentration, which leads to mineral crystallization. 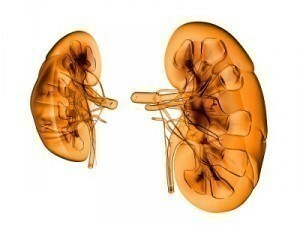 Kidney stones treatment may consist of just drinking water. But medication may be necessary in other cases. This stones may pass by just drinking lots of water. 1.9 to 2.8 liters (or 2 to 3 quarts) could be enough to flush it out of the body. If the stone passes and discomfort is felt, your doctor may prescribe acetaminophen, ibuprofen or naproxen sodium. Usually however, the pain experienced is mild. Large stones cannot be flushed out. They may also cause bleeding or damage to the kidneys. In this case, sound waves may be employed. The extracorporeal shock wave lithotripsy process utilizes sound waves to crush the stones. The stones will then be small enough to get flushed out. Patients that undergo this procedure are sedated as it can be quite uncomfortable. The extracorporeal shock wave lithotripsy may cause abdominal bruises, blood in the urine and bleeding of other organs. Another kidney stones treatment that may be used is percutaneous nephrolithotomy. This is a surgical process is used to remove large stones. This procedure is usually performed if extracorporeal shock wave lithotripsy does not work. The doctor may also take out the stone using an ureteroscope. This device has a camera. When it is placed through the urethra, the doctor will move this tool to crush the stones. This can then be flushed out. The symptoms may not manifest until the stones are in the ureter. This is the tube hooking up the bladder and kidney. Common signs include pain under the ribs, side and the groin. The lower abdomen may also hurt. Urinating will be painful. The urine will have a brown or pink color. One of the most signs is the urge to keep urinating. The patient may vomit and feel nauseous. If there is an infection, the patient will get a fever and experience chills. Visit your doctor immediately if the pain is so intense you cannot remain still. Other symptoms that require immediate medical attention are vomiting with pain and dizziness. There is no single cause for this disease. Often, the reasons are multiple. One of the most common causes is eating too much salty food. Struvite stones arise from infection and can get big. Uric acid stones are created when people are dehydrated. It can also appear if the diet is too protein rich. Cystine stones are hereditary in origin. This type of stone is very rare. There are many other types of stones that can appear. If you are experiencing symptoms, you should go to the doctor. They will know what type it is and what treatment to give. 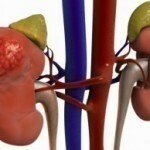 The kidney stones treatments will vary depending on the condition. To avoid complications, one should be aware of the various types. This will help you get the right treatment.